The time is displayed by hands, which move around the dial. Graduated face over which the hands move to indicate the time. Knob with sprockets that is connected to the winder; it is used to manually wind the watch and set its time. 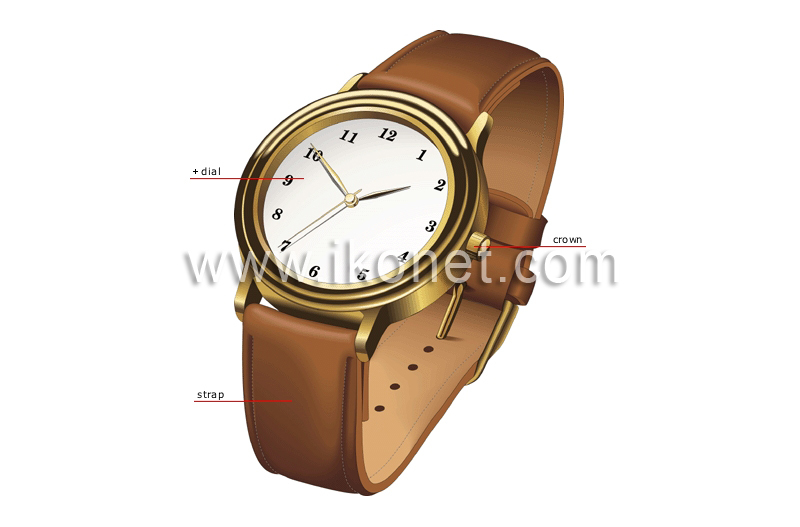 Leather, fabric, plastic or metal bracelet with a clasp; it is used to hold a watch on the wrist.